Advenza was the freight operation for Cotswold Rail. 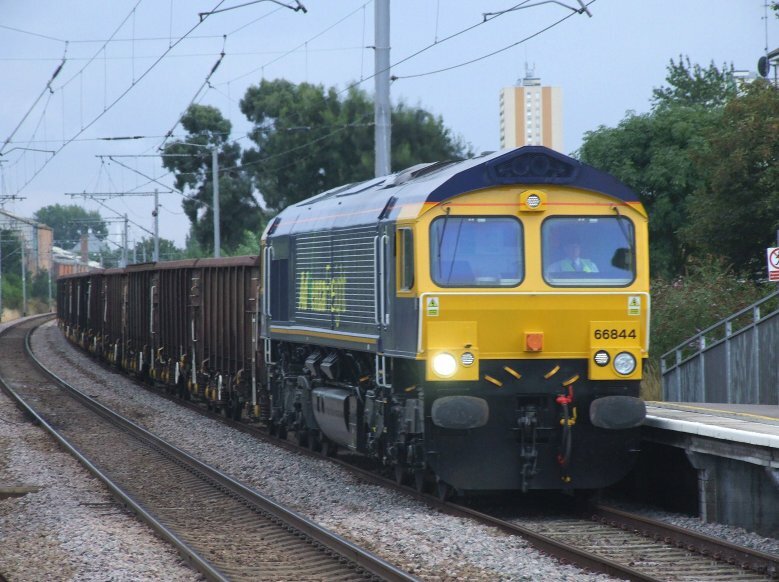 Earlier this year they added some ex DRS class 66s to their fleet and 66844 is seen here on a scrap metal train at Brimsdown on the 12th August 2009. However these Advenza 'sheds' did relatively few workings before the company went into liquidation and the business was subsequently wound up.